My Cookbook is Free for Everyone!! I have big news! My cookbook is finally FREE for everyone! Thanks to my publisher, everyone (anywhere in the world) can download my cookbook for free. I’m so excited! It has over 80 of my recipes and was published in 2006. As I continue to evolve as a cook, I have updated and simplified a few of the recipes and the new versions are posted here on the site. But there’s more in this book besides my recipes. You’ll find health & nutrition information and some helpful cooking tips too. I’m thrilled to be able to share my cookbook with everyone. This is a new digital venture for me so please let me know if you encounter any problems. 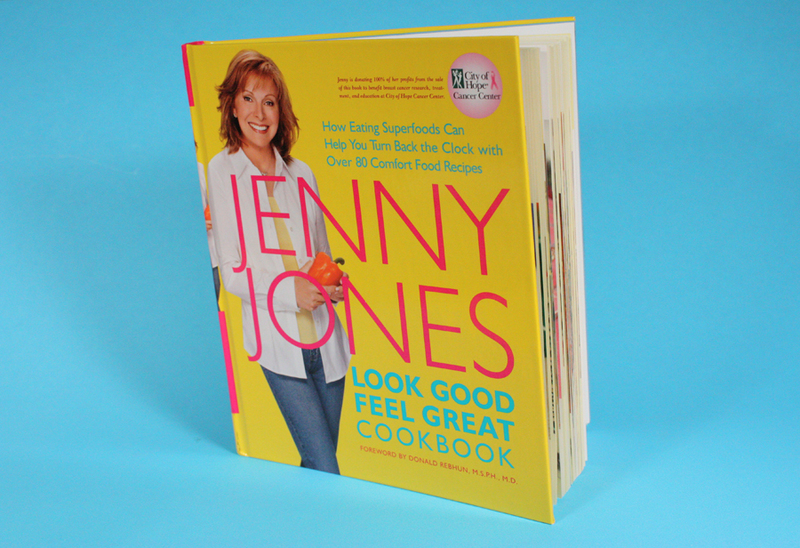 To download your own copy of Look Good, Feel Great, click here. 52 Comments on "My Cookbook is Free for Everyone!!" Jenny (Janina) I have been following since I was a teenager, and now I’m almost 52. I pray you are content in life and doing well. Would love to hear from you and to know you’re doing okay. I certainly miss seeing your face, but I can understand why you want to remain out of the spot light. I miss your funny cooking videos. Your down home realness. I just watched a video on baking bread ,and it made me miss you. We need people like you in the world. Much love from Versailles, Kentucky. Thank you for the kind words. I am fine, just busy with life. We tested the cookbook download and it appears to be working, but honestly I don’t advise using the book because I am a different cook today and my cooking is simpler and more streamlined. Plus, most of the recipes in the book are already here on this site, improved and simplified, more in line with how I cook today. As for bread machines, I’m sorry I have no experience with them. Thank you for your advice. I realized that the reward is in the actual kneading and baking. Though I have some physical difficulties, I love your wonderful recipes and the joy you give.Thanks for I just made your peanut butter cookies and they’re great! I just wanted to say thank you for sharing your recipes. You are the best cook ever, what i love about your recipes it is that they are very easy to make and and exquisite. I’ve had never bake bread before but when i watched your videos and you made look so easy i was willing to give it a try and actually it came out pretty good, my children are so happy that i finally know how to bake yeeeyyy. I can’t thank enough, i hope you read this comment. I do look at comments and I appreciate your kind note. I love your recipes, and would love to get your cookbook, but can’t seem to download it? Is the link working? We tested the link and it is working but make sure you are using a desktop computer. Keep in mind that most of the recipes from the book are already here on this website and have been improved and simplified. I downloaded with old window internet explore 11 while Google chrome and Opera failed. Yep! Chrome and Firefox were a fail, but internet explorer worked. Thanks. Got it. I love to watch you cook as you are so pleasant and make it so easy that I want to try all the recipes. I am going to try your apple pie as it sounds so easy and delicious. I make hard boiled eggs and when you take them off the stove, run them under the cold water tap, drain, and put the cover on your pot and give it a couple of good shakes, and the shell just slides off if you squeeze it. Magic! No tiny bits of shell to contend with. Thanks for being such a wonderful help with all your recipes. Jenny I “tripped” into your cooking video one day and was hooked. When my dad was alive he made the best meatloaf, and mine was awful every time. I tried yours and love it! I double the recipe and share or freeze the other. It really is the best! Thank you so very much for your free cookbook. You are such a blessing!! Thank you so much for sharing your cook book. As a person completely new to cooking and baking.. I love your recipes so much; very easy and delicious! using World Market Chocolate bar and the same Cocoa as you used on video. They are unbelievable delicious. .. I am not able to send a book. It’s only free on my website. Jenny, I love all of your recipes, especially your Best Ever Meatloaf. I am 76 years old and really enjoy how easy it is to make your recipes. Of course, I also love being able to watch your videos on the Internet. Meanwhile, how can I find your cookbook on the Internet or in what local stores is your book available? My cookbook is out of print but you don’t need it because all the best recipes from the book are already here on this site. Thank you, Ms. Jenny for a free cookbook. You are awesome! you are wonderful…thank you !!! I can’t download your free cook book ?? am I to late for that offer ? Me either, hopefully we get a response on how to fix it! I’m sorry but we are unable to figure out why most people have no problem downloading the free cookbook while some are unable. All we can think of is that it should be done on a desktop computer and not a mobile device or tablet. It may help to know that a lot of the recipes from the book are already on this site and I will continue to add more recipes from the book with new photos and usually improvements to the recipes as well. Might have a helpful tip. Couldn’t download your book onto my computer when it first was available but have since purchased an upgraded Adobe Acrobat program. My computer and Android phone are linked, and I just downloaded your cookbook on my phone as a pdf file. I don’the know how, but … Hurray! Thank you, Jenny, for sharing your passion for good food and good health. And for sharing your artistic talents! The time and care is truly evident. Your photos are the best. ~ D.
Downloaded without a problem. Thanks for the cookbook and more recipes to try! The download works best on a desktop computer. You can not download this book to a tablet but you should be able to view it there. I am Evelyn. I live in Sri Lanka. Thank you for the wonderful recipes you share with us. Your recipes look so yummy, and the colors are so awesome in your kitchen. I love those different spatulas and knives and the little colored bowls and dishes you use. I also like the white pantry cupboards. And I also like the aprons you wear – esp the white and black polka dotted one. That video reminds me of fairyland and fairytales. Thank you for the lovely recipes. I have been watching your recipe videos and logging on to your website for the past couple of weeks. They are so amazing. Thanks for the nice note. I try to make my videos and pictures as colorful and fun as possible so it’s nice that it is appreciated. happen to see yr blog by luck. Love all your colourful spatulas, yr colourful blue workboard for rolling yr dough. where did you buy all those items. You’re wonderful cook. Thanks for yr simplified explanation & illustration. I find most of my colorful items at places like Sur La Table, Pier One, World Market, Target, and even some hardware stores. The blue board came from Star Restaurant Supply here in Los Angeles. I am so anxious to try your healthier pumpkin pie and pie crust. I think I am finally looking forward again to Christmas. Gail, I’m glad that I can bring you a little joy here on the internet. I hope you have a good holiday. After downloading your new book I found that when I go to search for a word, after typing a couple of letters the pages disappear and it will not go to the word that I search for. I have a Macbook pro and possibly that is the reason. That said, thank you for posting your new book. Very professionally done with a wealth of info. I don’t believe that option will work on the downloadable book but on my website you can search for recipes by word (and quite a few of my book recipes are already here on the site). Thank you very much for these wonderful recipes. Really appreciated it. Thank you 🙂 I especially enjoy your cinnamon rolls recipe <<<< tried it and it works nice. Thank you so much for a wonderful gift. Despite your tight schedule, you’ve gone extra-mile to share with us your recipes generously. Kudos to you. Wow!!! this is great!!! this is just what I needed!!! Thank you so much for all your hard work and great recipes!!! I am very happy we can share all of your recipes and want to say best wishes and congradulations. Oh, thank you so much, your cookbook looks fantastic – just dying to try your recipes. Good photography too. Thanks a lot. Thank you so so much for your generous gifts.The cookbook, the wonderful recipes and your delightful humor. I love trying out your recipes so this is a real treat . Had to stop looking after the first photo – blueberry pancakes . Got way too hungry looking at it & it ‘s past 10 p.m. . Thank you Jenny – I very much appreciate your kindness ! Thank you so much for your generosity, Jenny. You are such an inspirational person and one of the genuine good-guys in this world. 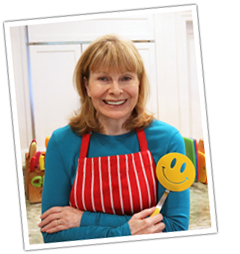 Thanks so much for sharing your life and recipes with us. You are awesome. I love your site, videos and your love of cooking. I just tripped over one of your recipes on Pinterest. it lead me to your website. Love it! What a pleasant suprise! It’s so nice to see the true Jenny. I confess, I didn’t have any respect for you at the time of the the Jenny Jones show. Even a coworker was a juror on your court case. I could not understand the value of shows like that. Well, that was then. glad to know the new Jenny.. Thanks for sharing your self.I look forward to you’re emails, videos etc. I am so excited to download your cookbook. JENNY, THANKS SO MUCH FOR YOUR GENEROUS GIFT. I DO SO LOVE TO WATCH YOUR VIDEOS AND ESPECIALLY YOUR WONDERFUL SENSE OF HUMOR! Jenny, you are the best. Your recipes are great and your gift of sharing and giving to others is amazing. From your bio I can see your are a multi-talented woman who loves life and food. Thank you again for sharing your wonderful talents.